As competition grows between asset management firms, it’s more important than ever to take advantage of every available opportunity when it comes to maximizing growth. And as many firms are finding out, technology can be their single greatest asset. At the end of the day, every asset management firm needs insight into certain key details of their operation. If you don’t know how your firm’s interactions with broker dealers, branch offices, or advisors are impacting your overall sales outcomes, your sales team won’t have the information they need to take advantage of opportunities when they present themselves. And, as any good firm knows, trying to put together proposals in response to RFPs (or follow every lead that presents itself) is hugely time consuming. You’ve got to know which leads are worth pursuing. Of all the places where asset management firms struggle when it comes to decision making, one of the biggest centers around determining who their account managers ought to visit when planning trips for face-to-face meetings. There are hundreds of potential options nationwide -- but who do you prioritize? If you don’t have actionable data insights, making these decisions correctly can be next to impossible. And when your account managers are stuck sifting through one report after another trying to put together data, they’ll have less time than ever to spend making connections with profitable accounts. Fortunately, these challenges and more can now be addressed with the help of artificial intelligence (AI). Think that implementing AI into your firm’s existing workflows is unrealistic? Think again. 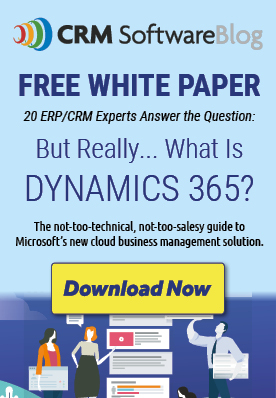 In fact, putting AI to work for your business doesn’t have to be any more complicated than utilizing your existing Dynamics CRM software. Below are six videos that offer detailed insight into the items above. These videos will show you how to utilize Dynamics 365 CRM to bring the power of AI to bear on all aspects of your business. How do you make sense of the massive amount of sales and trade data that your wholesalers have access to? And how do you avoid the inevitable human mistakes? Learn how the combination of machine learning and AI can help. As the line between wholesale and retail becomes increasingly blurry, evaluating various opportunities (including RFPs) can be time consuming. How do you know which ones to pursue? AI can assist you in determining which leads to follow, and which ones to set aside. Are your wholesalers making the right decisions when it comes to determining which accounts they should visit in person? With AI, you’ll both save time and ensure that you’re connecting with your accounts in a strategic way. Scheduling multiple meetings in the most time effective way possible is a huge task in and of itself. Plus, meetings with clients are only as valuable as the data you glean from them. While Dynamics CRM and Outlook can track your logistics, AI can take your scheduling and information capture to the next level. Is your marketing department doing an optimal job of analyzing the effectiveness of advertising campaigns? Are assets under management (AUM) trending upward as a result of your ongoing campaigns? AI can give you the key insights you need, all while saving time. For asset management firms in particular, managing and sorting through data for reporting can be a huge task. How do you aggregate all the necessary data into one place for easy analysis? With the combination of Dynamics CRM and artificial intelligence, you’ll be able to take advantage of the best tools in any reporting scenario. By harnessing the power of AI in combination with a flexible platform like Microsoft Dynamics 365 CRM, your asset management firm can gain an edge over the competition. Want to see what AI can do for you? AKA Enterprise Solutions can show you! Speak with one of our Financial Services experts today.